Champagne, Prosecco & Cava; defining what it is that makes our favorite libations so unique. It’s best we begin at the source, Champagne. Champagne’s creation was actually a happy and blessed accident. The Champagne region of France is located approximately 90 miles northeast of Paris, where chalky soil is in abundance and a cool, challenging climate is at play. In the late 1600s the people of Champagne were hard at work making wine, continually frustrated by a persistent fizziness within their product, the grapes having been harvested in the fall and the wine produced left to sit over the cold winter. Unbeknownst to them the cold temperatures were freezing the yeast in the wine, stalling the fermentation process only for it to begin anew in the spring, as the weather warmed, resulting in a secondary conversion of the remaining sugars to alcohol and CO2, an effervescent final product emerging. This was not considered a quality drink and, at that point in time, it was less than palatable. Fight as they might against this natural secondary fermentation, the people of Champagne became resigned to their fate and became determined to perfect what they had. And perfect they did, crafting a sparkling wine by which all others are measured. So how exactly do you make Champagne? Champagne is crafted by the blending of still wines made from one or all of the following grapes grown in the Champagne region: Chardonnay, Pinot Noir and Pinot Meunier. The still wine is combined with yeast and sugar and bottled, where the second fermentation takes place, forming the CO2 and creating those famous bubbles. The wine rests with this yeast (also referred to as lees) in the bottle for at least one year. In order to remove the dead yeast cells from the wine, the bottles were traditionally placed in large racks and a ‘Remueur’ would hand turn each bottle, slowly over time, until the bottle was standing upside down (an act known as riddling). This process is now widely completed by machines. When the riddling is complete, the yeast is resting in the neck of the bottle, which is then frozen, allowing the yeast to be removed (called the dégorgement), the small ice block shooting out of the bottle, thanks to the CO2. The bottle is quickly topped off with still wine and sugar (called the dosage), the amount varying depending upon the level of sweetness desired in the wine. The cork and wire cage are placed on the bottle and it is ready to be savored for the most special of occasions! (Additional info on all things Champagne may be found here). The vast majority of cava is produced in the Penedés region of Catalonia, located just southwest of Barcelona, Spain. The climate and soils vary greatly in this region, offering a more mediterranean temperament and making Cava quite different from Champagne, even though it follows the same production method. Cava is constructed with a blend of Macabeo, Parellada and Xarel-lo grapes. Cava is typically aged for a shorter period of time than champagne and generally carries a more affordable price tag. Prosecco hails from the Veneto region of Italy, where Venice and Verona lie. Prosecco gained it’s initial notoriety as a key element in the famous bellinis from Venice, a cocktail made with a blend of fresh peach puree and sparkling prosecco. Prosecco is made with the Prosecco grape (also known as the Glera grape), grown in the hills north of Venice. 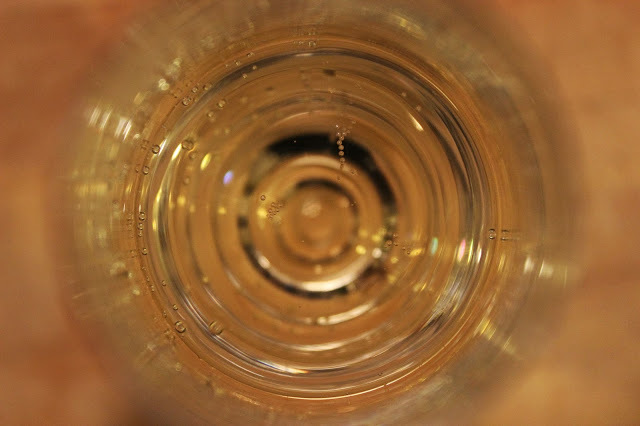 Unlike Champagne and Cava, Prosecco follows the Charmat Method, with the secondary fermentation taking place in large pressurized tanks vs individual bottles, leading to a more cost-friendly wine. I had no idea how capital and labor intensive it is to produce Champagne. I have new respect for the Widow Cliqcout!